It goes without saying that Florida’s weather is one of her most endearing and sought after qualities. It’s no wonder the Sunshine state is the envy of the nation during those bitterly cold winter months. 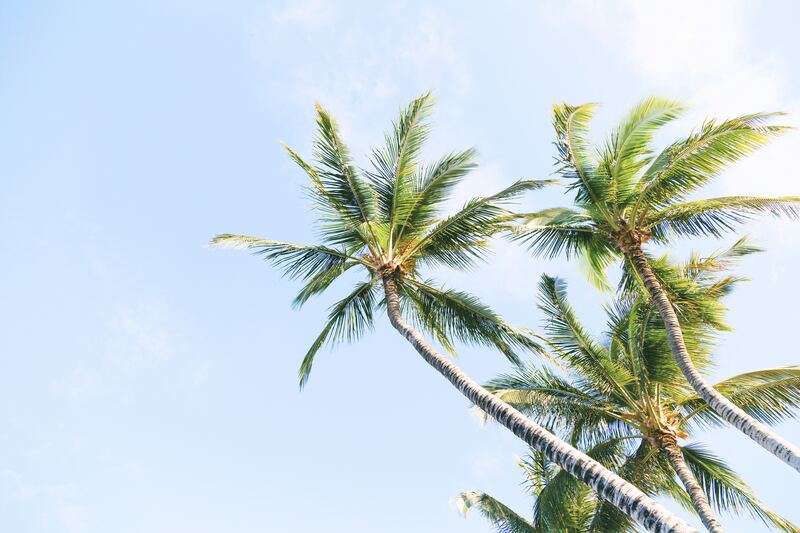 Florida’s temperature typically ranges from mid-60s-70s during the winter months and with the seemingly year-round summer highs, there’s no shortage of Florida sunshine to enjoy. The Sunshine State has a low cost of living and numerous industries like tourism, construction, healthcare, aerospace, and defense. Historically known as a retirement destination, Florida has recently become a popular destination for young professional families who want to take advantage of great real estate appreciation, beautiful weather year round, and a rapidly growing and diverse economy. When you think of Florida, you think of sunshine, beaches, and great weather. 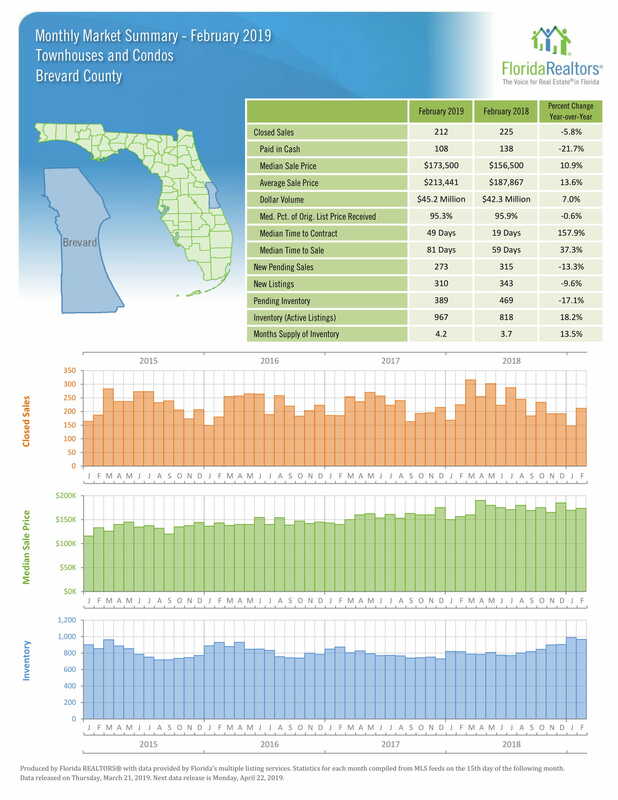 The average year-round temperature in South Florida is 72’ and the state enjoys 250 days of sunshine each year. If you're an outdoor enthusiast, Florida is calling your name! Take up watersport activities such as kayaking or stand-up paddleboarding for a good workout or rent a boat for the day and explore the Intracoastal Waterway and remote sand bars. If golf or tennis is your game, many cities offer year-round courses and courts to check out. Lastly, explore the many state parks while biking or jogging through scenic nature trails. The space coast. Florida's Space Coast has the perfect combination of the sun, the ocean, and space. The list of things to do at Florida’s Space Coast could begin with a trip to Kennedy Space Center Visitor Complex where Space Shuttle Atlantis is on display. Or your vacation could start with a slower pace at one of the area’s many hidden gems such as the Indialantic Boardwalk where visitors can experience authentic beach life. Discover what makes up Florida’s Space Coast and you will learn that it is so much more than just the place for space. Cocoa Beach Florida is home to some of the worlds most beautiful beaches, with year-round entertainment, and stunning sunsets every night. There are plenty of sleepy beach towns in Brevard County on the east coast of Florida. One of those hidden gems is Cocoa Beach. The weather is amazing year round and typically, Cocoa Beach's warmest months are July and August, with January being the average coolest month. The maximum average rainfall usually happens in September. The highest recorded temperature in Cocoa Beach was an unusually hot 102 degrees Fahrenheit in 1980 and the lowest recorded temperature was a very chilly 17 F in 1977. Beaches, golf courses, art museums, and a vibrant commercial district give residents of Cocoa Beach plenty of things to do. The city’s tropical climate, lush parks, and collection of resorts and hotels draw thousands of tourists each year. Cocoa Beach provides a large assortment of amenities, good schools, and has a population who engages in political and social activities. 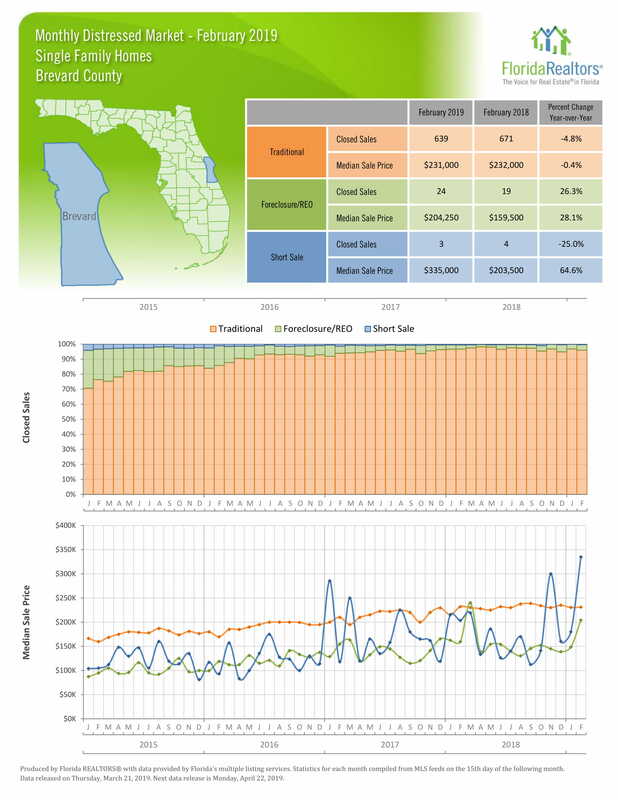 Cocoa Beach continues to grow in population and the Cocoa Beach Real Estate market is booming thanks to good schools, excellent health care, and beautiful beaches. Cocoa Beach is known for great kayaking, boating, canoeing, jet-skiing, and all other kinds of fun sports for the adventurous. 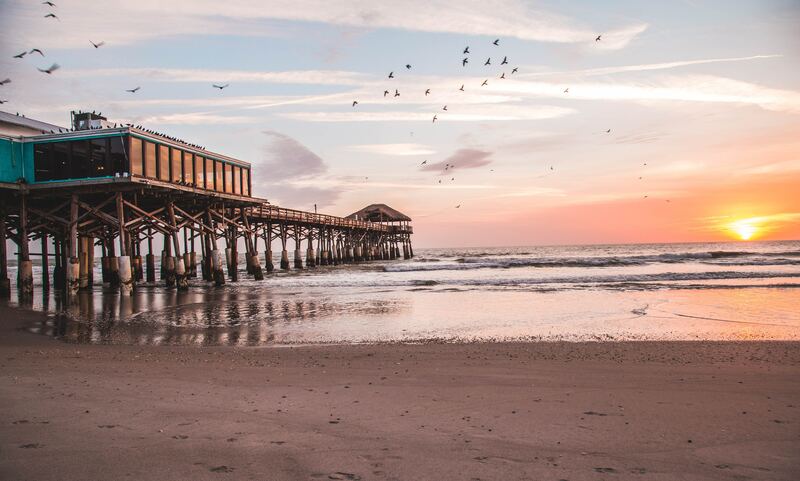 Take a walk on the Cocoa Beach Pier while the sun goes down for a stunning sunset view of the beach. With the sun, the beaches and the nightlife Cocoa Beach is a perfect paradise. What more can we say – moving to Cocoa Beach is a great idea! Florida’s Space Coast is like no other. With over 72 miles of sun-bronzed Atlantic coastline, it’s incredibly diverse from north to south and has an adventure for every visitor. The north end of Florida’s Space Coast is home to the Canaveral National Seashore and pristine natural habitats, while the south is home to Sebastian Inlet State Park. The west is bordered by the St. Johns River and the east stops at the Atlantic Ocean, Orlando's closest beaches, ranging from popular and lively to private and hidden. The diversity shows through in these designated towns: Cocoa Beach, Melbourne & The Beaches, Palm Bay, Port Canaveral, Titusville, and Viera. Did you also know that because this beach is tucked away, you can easily enjoy this recreational paradise with opportunities to do some backcountry camping, canoeing, kayaking, fishing, swimming, boating, and bird watching? The natural landscape and habitat of this area have the perfect aesthetics that one imagines when thinking about going to the beach, so you can understand why people from all backgrounds enjoy coming here. And if you happen to be in the area when one a rocket launch is taking place, Playalinda Beach is a prime viewing location. There is a fee to access the beach, so bring some cash. The beachfront here is a secluded 24-mile stretch where sea and space meet. This is an undeveloped beach, without vendors or stores, so be sure to bring any supplies you may need for the day. There is a parking area with boardwalk access over the dunes. Centrally located between Port Canaveral and the Cocoa Beach Pier, Cherie Down Park is a perfect spot whether you’re in town prior to your cruise or if this is your Port of Call. Dappled with sand dunes and sea grasses, Cherie Down Park is a seven-acre community beach park in a neighborhood setting. If you're looking for a place for a picnic, look no further. There's a 200-foot boardwalk that winds along the dunes, and on the beach, you can take a swim, play volleyball, build a sandcastle or fish in the surf. 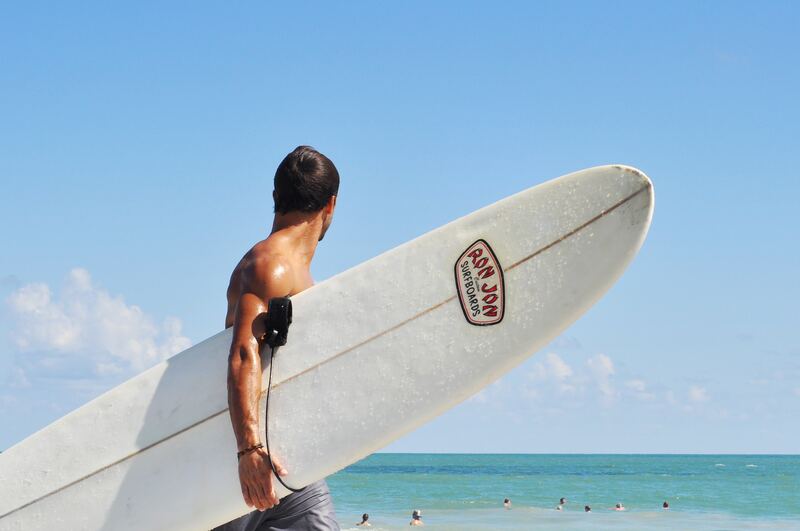 Cocoa Beach is home to several beaches and caters to all different “beach style” preferences. From popular and action-packed, like the Cocoa Beach Pier to hidden gems like Lori Wilson Park, any beach you choose is going to be a top pick. But if you’re looking for a great spot for the whole family, then you’ll want to go to Sidney Fischer Park. This 10-acre oceanfront park is a family favorite and great place for a picnic and a swim in the Atlantic Ocean. Located conveniently across the street from a grocery store, you can pick up lunch and some snacks, eat under the shade of your umbrella or the provided pavilions and watch the kiddos enjoy building sandcastles or having fun on the playground. The park was named after Sidney Fischer, who served as the mayor of Cocoa Beach from 1956 to 1960 and there is a parking fee, but with all the amenities like restrooms, showers, and is a great viewing spot for the occasional rocket launch, you can expect to enjoy your day at the beach. With volleyball courts ready to serve up some family fun and picnic facilities including grills for parties, and a large playground for the kids, this beach offers a beautiful natural landscape with plenty of shade, perfect for a whole day at the beach. There are large pavilions, five dune crossovers, showers, and restrooms. This beach is quiet, generous and wide, and is a favorite surfing spot for locals and with free parking, you’ll definitely want to get there early, but what better reason to make a day of beaching it up in your own little paradise? Shepard Park is a five-acre oceanfront park named after astronaut Alan Shepard. The Cocoa Beach beach facilities here include large picnic pavilions, several smaller covered picnic areas, and a bathhouse. There's plenty of parking and many shops are within walking distance. This is another park right in the middle of the action. This beach park of nearly 33 acres features a 3,155-foot boardwalk that winds through the nature hammocks. There are six dune crossovers, picnic areas, restrooms, showers, and a playground. If you're curious about area wildlife and plant life, be sure to check out this park. At 16th Street, this 2.5-acre beach park offers access to the ocean for surf fishing and relaxation. There is a dune crossover and a pavilion. This two-acre neighborhood park is one mile south of the Pineda Causeway. It is landscaped with native plants and provides dune crossovers for beachgoers and surf fishing. There are two sheltered picnic areas, showers, and restrooms. Surfing and fishing are popular at Hightower Beach Park, a quiet two-acre neighborhood beach park located four miles south of the SR 404-Pineda Causeway. Overlooking the Atlantic Ocean, Canova Beach Park is a community gathering place with 12.4 acres of warm, soft sand and a xeriscape garden with native plants. It features a pavilion, grills, picnic areas, three dune crossovers, showers, and restrooms. Indialantic is a sleepy town of 3,800, where you can ride the waves or just kick back on the peaceful shores. You can find beach access at most of the street ends, but if you want a beach with facilities, try James H. Nance Park: it boasts picnic areas, showers, and restrooms. The north park is slightly more than 4½ acres of beautiful beach park. This park has three dune crossovers, three boardwalk pavilions, showers, and restrooms. The south park features another seven acres of beach. With seasonal lifeguards, it's another popular family park with a 150-foot boardwalk and raised picnic areas. There are two pavilions, six dune crossovers, showers, and restrooms. Fishing is popular here with the locals. Coconut Point Park has 36 acres of beachfront beauty. It's a popular sea turtle nesting site, and perfect for beachcombing, surfing and surf fishing. There are two dune crossovers, a small pavilion, showers, and restrooms. Known for great surfing and shoreline fishing, this peaceful two-acre community beach park is just the place to steal away for a quiet afternoon. The Space Coast has numerous natural activities such as beach and mainland parks for recreation including hiking, surfing, and fishing. Be inspired by the arts scene with venues big and small showcasing artworks of all kinds, dance and theatre productions, and music. 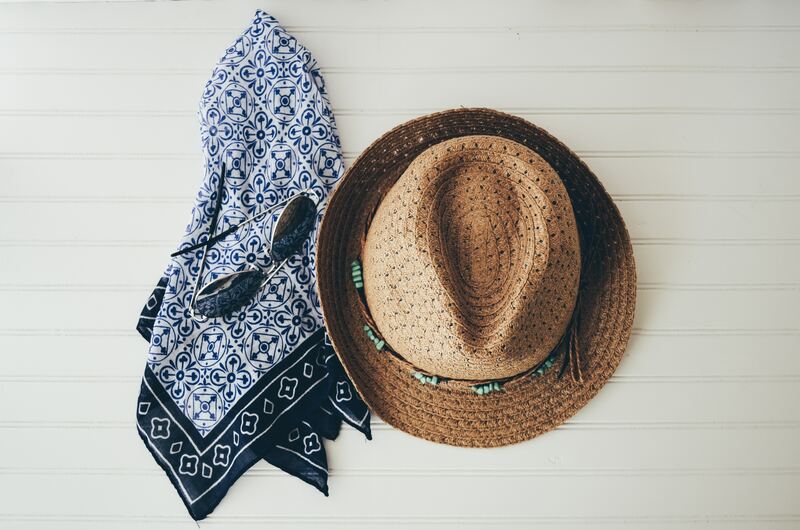 When you consider moving to Florida, take into account that the gorgeous sub-tropic weather means there is ample opportunity year-round for parties, festivals, fairs, farmer’s markets, parades, weddings, receptions, and various other outdoor events. Discover these gorgeous hidden gems of the Space Coast with plenty of space for your beach chair. 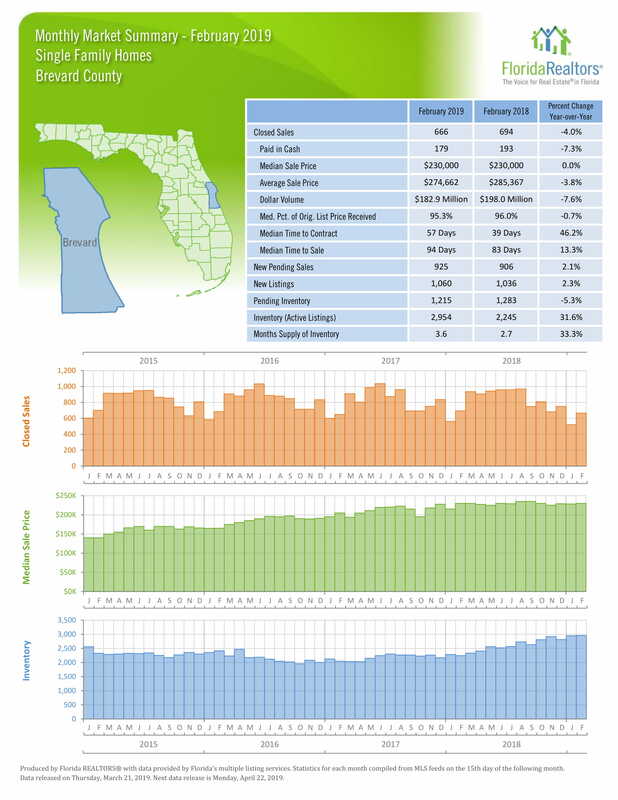 According to the Brevard MLS, Florida’s Space Coast housing market is booming. 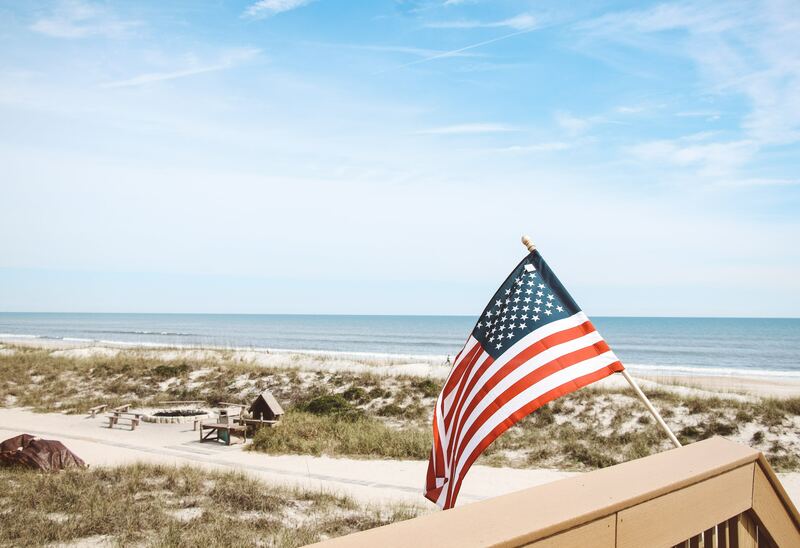 If you’ve ever been considering moving to the Space Coast of Florida, now might be the time to pull the trigger and contact a Cocoa Beach Realtor. New homes are popping up all over Cocoa Beach and Brevard County. 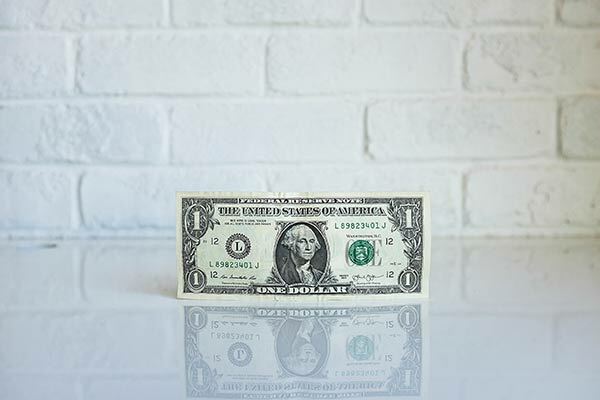 While some may be a little pricy depending on your budget, the Sunshine State has options available for everyone in every price range. If that Cocoa Beach home is a bit out of reach, there are plenty of new Brevard County homes and Cocoa Beach condos for sale, that will fit any budget and lifestyle. Regardless of your dream home contact a professional Real Estate agent in Cocoa Beach, Fl. 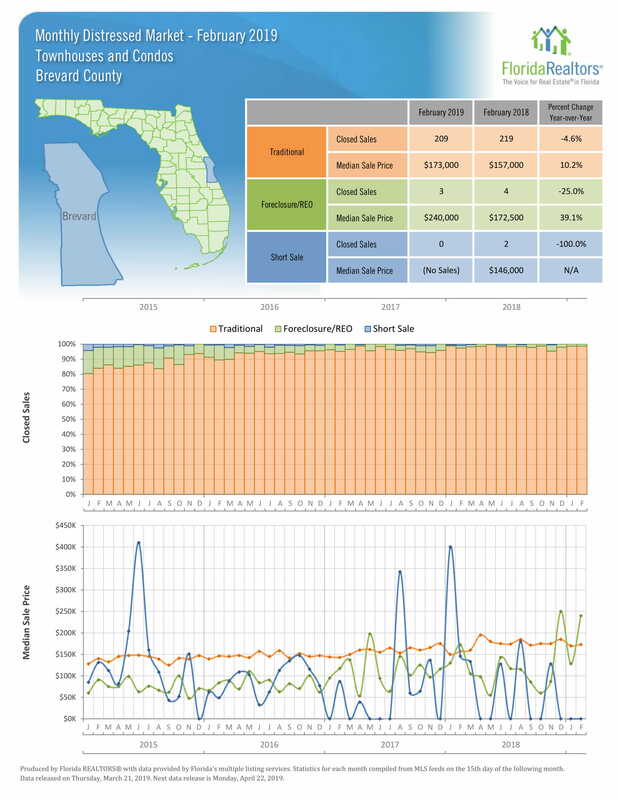 Florida’s median home value is $206,476, which is slightly higher than the national average of $188,900. The cost of living in the state varies from community to community. Some coastal communities are more expensive than the rest of the state, while some beachfront towns are surprisingly affordable including Cocoa Beach. Florida’s residents are from all walks of life. Some are lifelong natives born and raised in Florida, while others stopped here for a quick vacation and loved it so much they decided to stay. From northern snowbirds to surfers, artists, students, to hardworking families, the Sunshine State is full of friendly locals who move at their own pace and are always happy to welcome new neighbors. Florida has zero state income tax and tax rates for real estate sales and property taxes are relatively low compared to the national average. These factors make life in the Sunshine State extremely affordable. It won’t be long before you are moving into that Cocoa Beach oceanfront dream home. Some of Florida’s best universities include the University of Florida in Gainesville, Florida State University in Tallahassee, the University of Central Florida in Orlando, and the University of Miami. Florida's sunny climate makes for a vibrant college experience and the low in-state tuition options for public school attendees to help attract a great selection of students. As an international tourist hub, Florida is home to a diverse range of cultures. It’s apparent in the variety of fresh cuisine available, the various cultural festivals throughout the year, and even the museums and performing arts centers, have diverse exhibits and performances. If you’ve wanted to travel the world, why not think about moving to Florida instead. The culture is just as abundant, and the sun is always shining. Find your own Cocoa Beach Realtor that will deliver honest, ethical and trustworthy real estate advice. While guiding you through the entire real estate process, holding your best interests in the highest regard and creating customers for life. Buy your own piece of paradise in Cocoa Beach today! All throughout the United States mid-March represents a time of change, excitement, and celebration. Most of the country is spending their time thawing out from the freeze of winter, cheering on their favorite basketball teams during March Madness, and celebrating the Irish heritage of their friends, family, and neighbors on St Patrick’s day. The start of BEACH SEASON!! And the fun-loving team at CENTURY 21 Ocean knows there’s no better way to usher in the season of sun, salt, and sand then with the annual Ron Jon Beach ‘N Boards Fest! Which is exactly what they did this year! Located only a few steps away from the sand on Cocoa Beach, partnering together with Ron Jon's Beach ‘N Boards Fest makes perfect sense for CENTURY 21 Ocean. 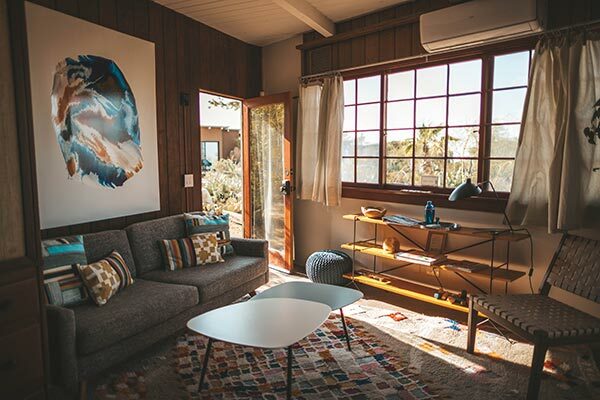 It provides an opportunity for their agents and employees to interact with residents, show gratitude to the community, and enjoy the perks that come along with an office situated just feet from the waves! The annual festival has grown to become known as “the nation’s premier active lifestyle Spring Break destination”, offering attendees a variety of fun filled activities to keep them entertained and kick off the summer. The different exhibitions included beach-volleyball, beach-yoga, surfing, skateboarding, wakeboarding, stand-up paddle boarding, paddle board kayak-fishing and hydro-foil kite-boarding. Special guests such as CJ Hobgood (World Surf League World Champion), Bob McKnight (Co-founder & Previous CEO of Quicksilver) and Alexa Strange (2-time National Champion & All-American in beach-volleyball) attended this year’s festival, meeting with fans, event-goers, and even hosted some of the events. No matter who you are, Ron Jon's Beach ‘N Boards Fest is a festival your sure to enjoy. Whether it’s watching the World Surf League sanctioned surf competition, signing up for a surf training session, watching the amazing wakeboard demos, participating in the killer kayak fishing tournament or competing in any of the beach volleyball challenges, each year the festival delivers as the perfect kick-off to summer! This year, CENTURY 21 Ocean took it a step further! They not only decided to partner with Mitch and host a tent at the event, but they also decided to provide something extra for the event attendees and community! 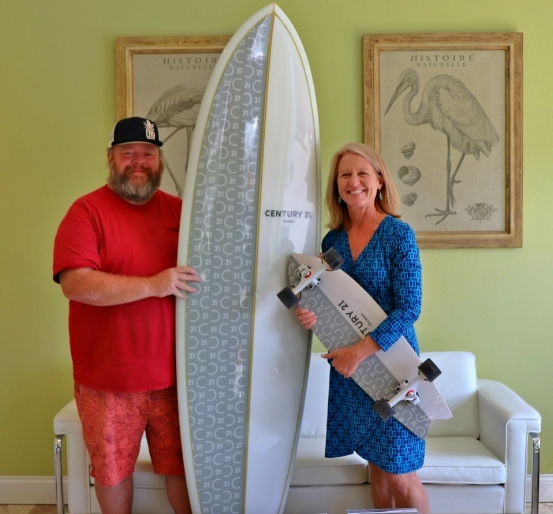 With the help of Ricky Carroll, an award winning shaper and the founder of Ricky Carroll Surfboards, Barbara Schluraff and her team hosted a raffle providing event-goers the opportunity to win either an epic custom skateboard or custom surfboard! 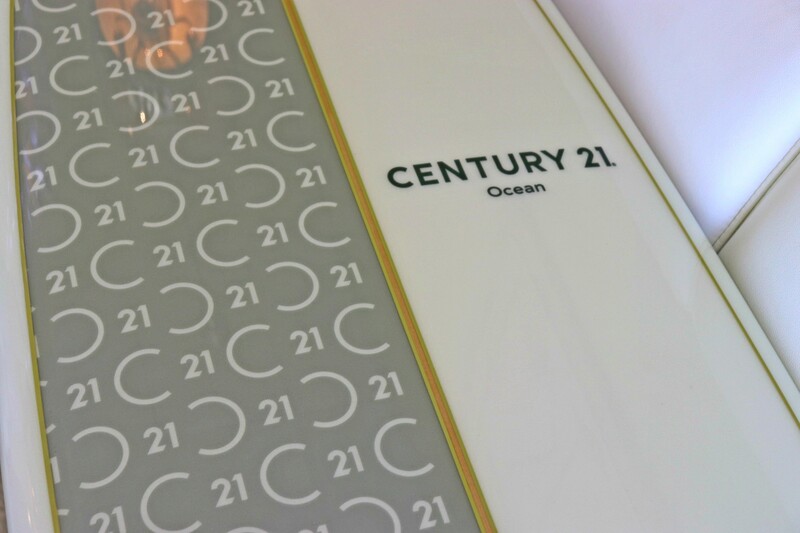 The CENTURY 21 Ocean raffle was open from the start of the weekend and went through the end of the last event. After the weekend was over, the winners of the raffle were chosen & then announced on the following Tuesday live from CENTURY 21 Ocean’s Facebook page! 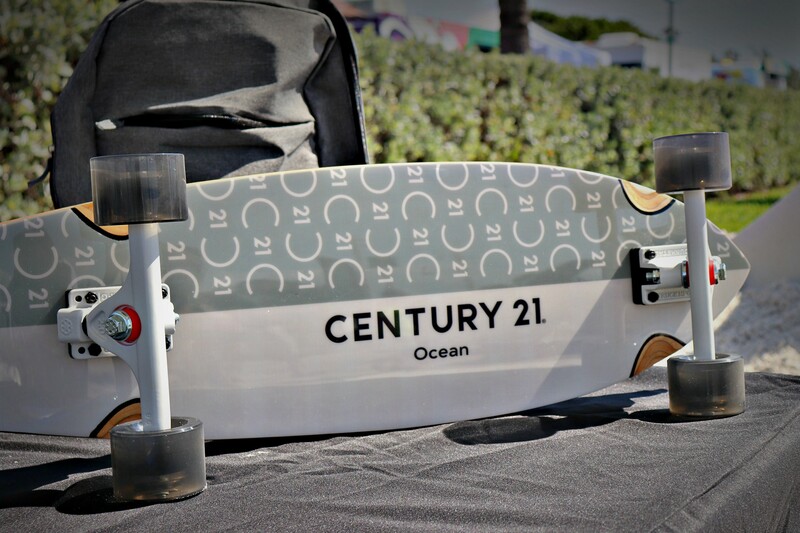 The raffle was hosted at the CENTURY 21 Ocean stand located in front of the wakeboarding event area which featured the custom-made skateboard, surfboard and even a custom-sculpted sand castle! The weather added in to make it an incredible weekend and Ricky Carroll even showed off some of his skateboarding skills out by the tent. Featured above is a photo of the winner of the custom skateboard and another of Ricky Carroll himself with the amazing custom surfboard he created. 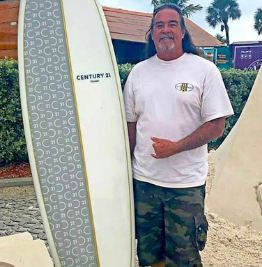 Once again, in 2019 Ron Jon's Beach ‘N Boards Fest kicked off the Space Coast beach season in style and the CENTURY 21 Ocean team sent two local and lucky raffle winners home with a gift they’ll never forget! 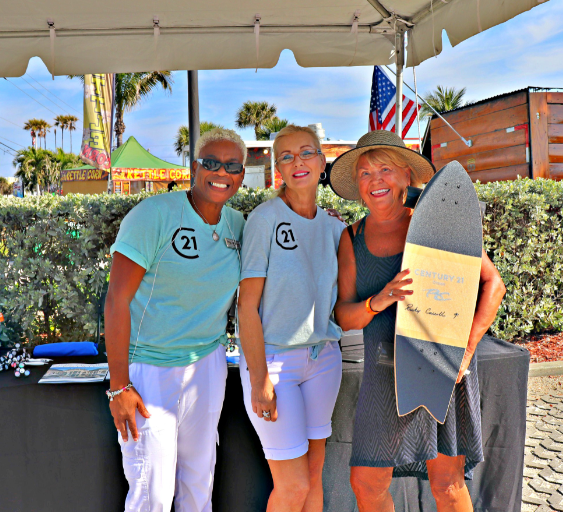 Enjoy your spring and summer and be sure to find us next year at the 8th annual Beach ‘N Boards Fest, in mid-March 2020! Barbara Schluraff is taking a different approach to buying and selling Real Estate in Brevard County …….and people are noticing! 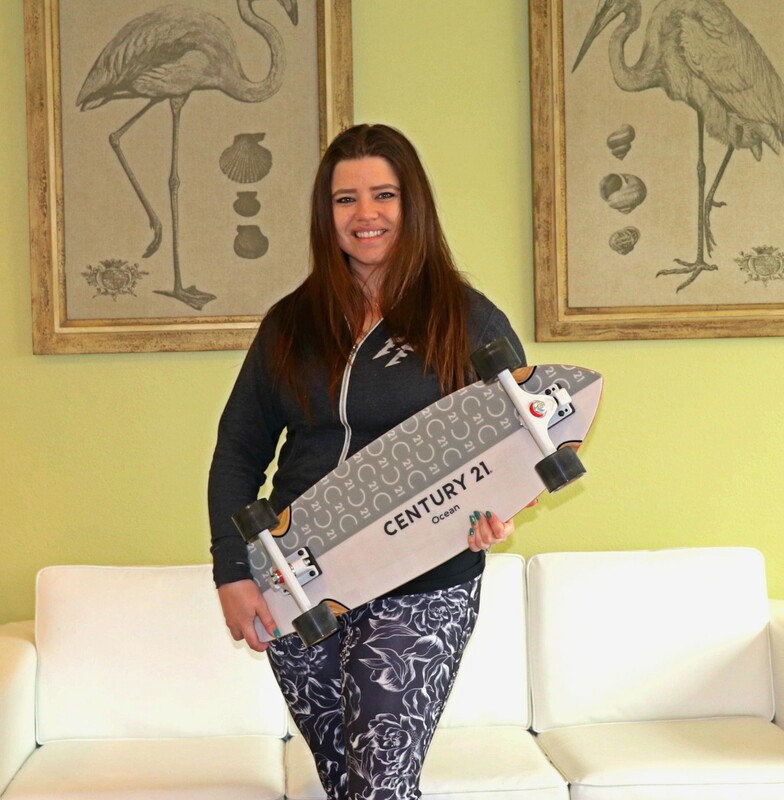 As highlighted in this month’s article of Space Coast Business, Barbara and her team, Brevard By The Sea Group, at CENTURY 21 Ocean, see the Real Estate world through a different lens. They’re pushing the envelope and reinventing how agents, brokers, and clients work together - creating a shift in the usual process. 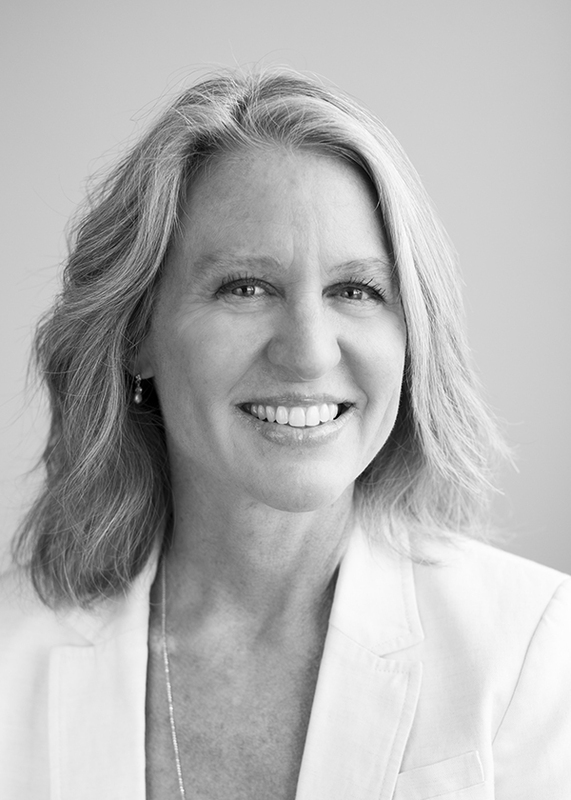 Barbara is utilizing her diverse knowledge from other industries to streamline the customer experience, providing CENTURY 21 Oceans’ partners with the highest value possible. Rather than an agent being a jack-of-all-trades, Schluraff focuses her team specifically on what each agent does best, resulting in optimal outcomes for her clients. Her process aligns people with their strengths, creating a specialty group designed to get the job done! Brevard By the Sea Group has put together an All-Star team to implement Schluraff’s vision. Chenay Strum, CENTURY 21 Ocean’s operations director, partners with Barbara to operate the agency on the idea that happy agents and employees, results in happy clients! In order to meet this goal, we hire the top agents, and ensure they’re happy, Chenay has focused her efforts on increasing leads and bolstering industry credibility through a variety of online channels. Chenay has identified that building a significant online footprint, resulting in warm leads and local credibility improves an agents’ work-life balance and allows them to focus their efforts on serving clients, as opposed to searching for new ones. Additionally, Barbara & Chenay have created a unique role titled Customer Concierge. 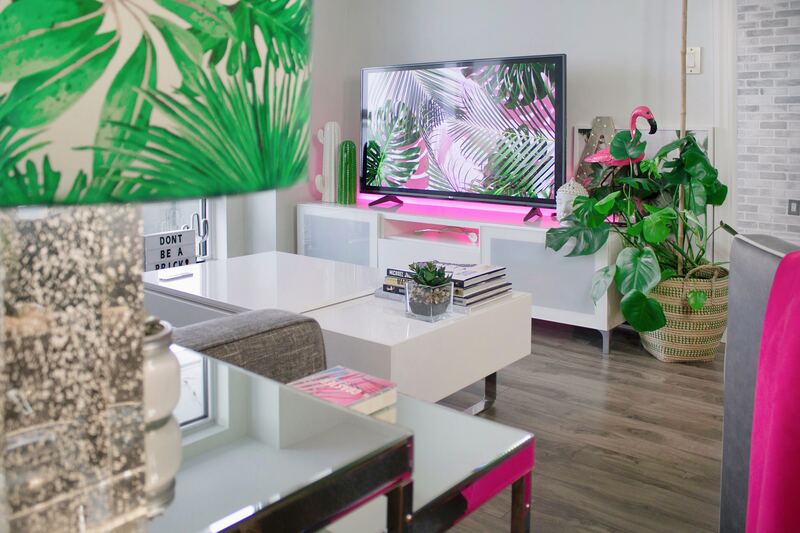 This role is occupied by the talented Jessie Roberts, whose main objective is ensuring clients have an extremely positive customer experience, throughout their journey with CENTURY 21 Ocean. From being a constant point of contact to a community ambassador, Jessie's role is focused on clients and their ultimate satisfaction. There are over 200 tasks that a real estate agent does in the course of a transaction, most of which are behind the scenes. There is something to be said about the focused power of a team. Providing a high level of customer service while managing, servicing and acquiring new business would not be possible without a team of professionals composed of Buying and Listing Specialists, Client Care Center, Administrative Assistants, Marketing Department, etc. 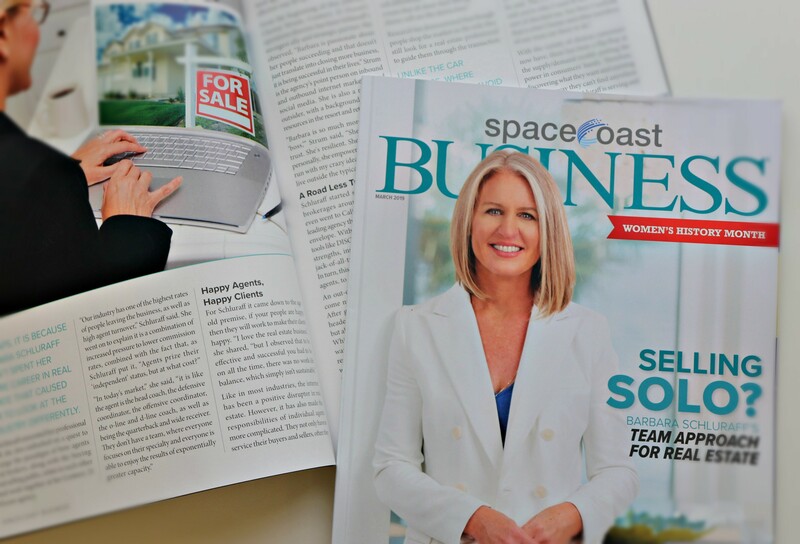 Be sure to check out the March article of Space Cast Business to find out more about Barbara, Chenay, and the rest of the CENTURY 21 Ocean team. You can also visit the CENTURY 21 Ocean website or call the team at (321)-323-1212 today, to find out how they can assist you in buying or selling your Brevard County home, apartment, or condo! 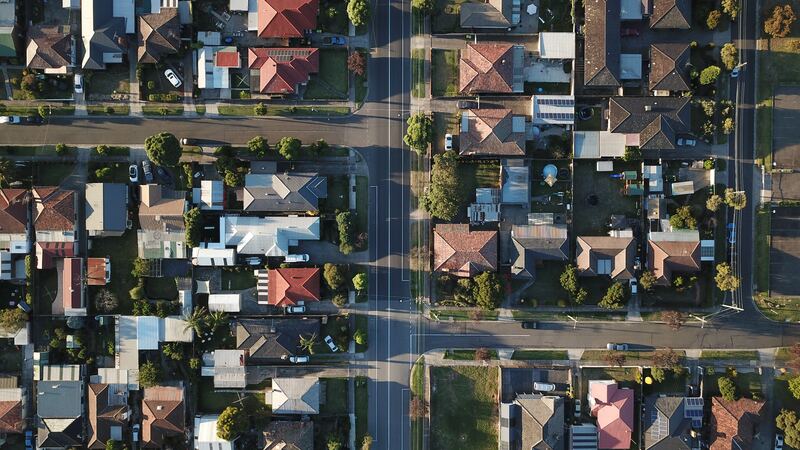 Property taxes greatly differ from one region to the next and could majorly impact your cost of living. Do your due diligence and make sure you can afford the area you want to live in. 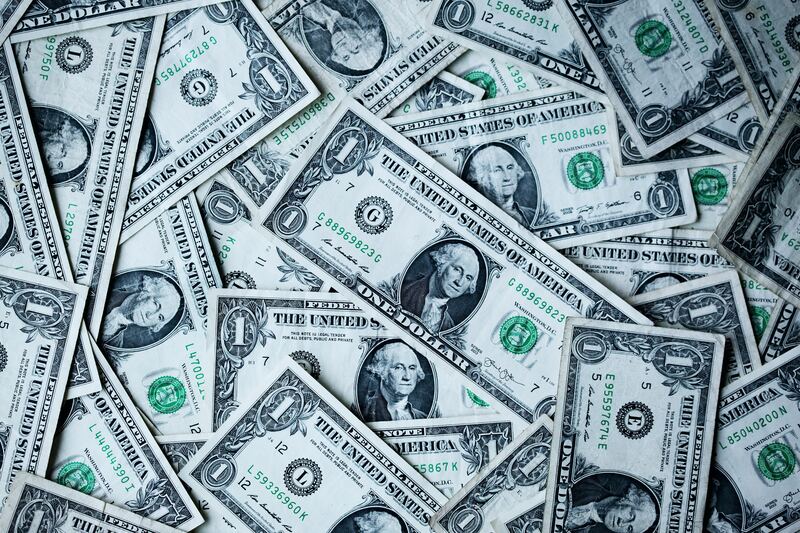 Check out other costs of living while you're at it—think utilities and food prices. 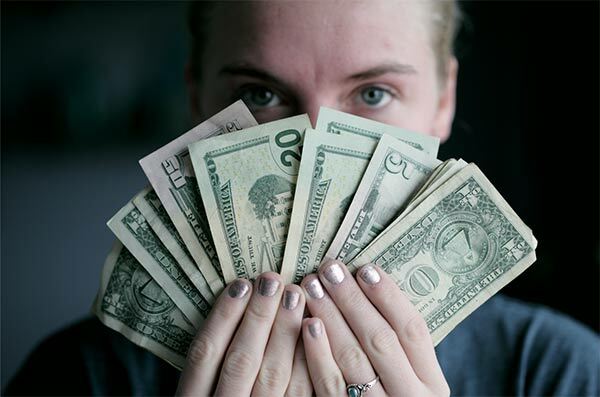 The holidays alone give you plenty to think about, but if you’re also trying to sell your home, the obligations tied to it become another thing on top of your pile. You need to sell your home and you need to do it fast. The tips included here can help. Be mindful of your decorating. 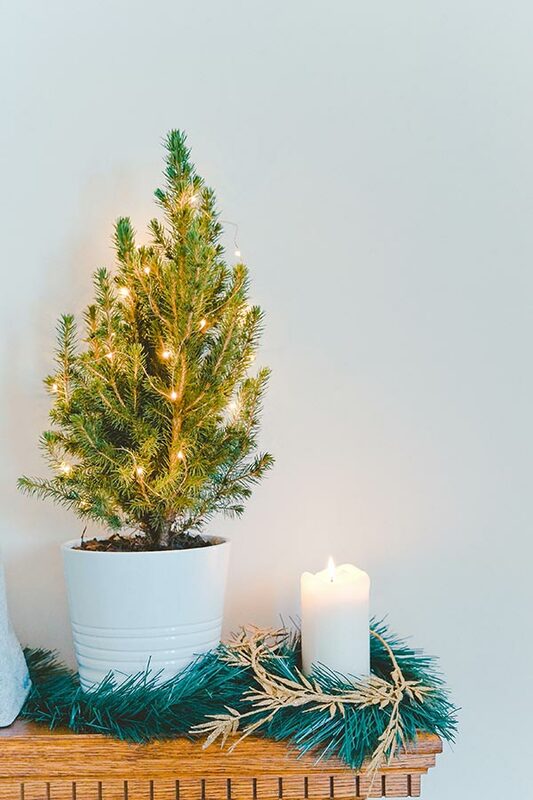 If you’re trying to sell your home, keep your holiday decorating to a minimum. Remember that not every prospective buyer may celebrate the same holidays you do and you certainly don’t want them to feel alienated. In addition, large amounts of decorations can leave your house feeling cluttered. 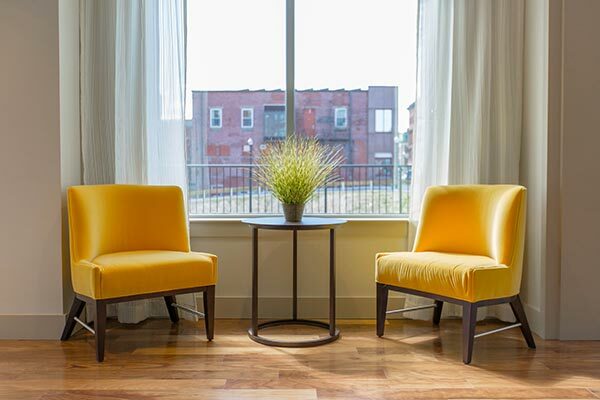 You want buyers to see your home, not the clutter you’ve added to it. Hire the right real estate agent. This tip is applicable at any time of year but it’s especially important during the holidays. A REALTOR® that will be absent during the peak of the season isn’t going to be able to help you very much. Inquire about their availability during the holidays before choosing an agent to see if it coincides with your goals.